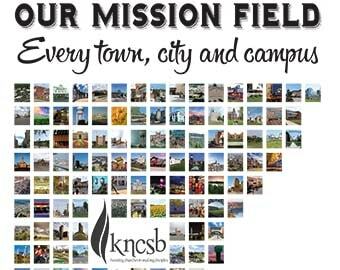 We have a change in the process for deploying KNCSB volunteers to Nebraska for Disaster Relief. We are making a distinction between those who have previously been trained in Southern Baptist Disaster Relief and are credentialed versus those who have not previously received SBC Disaster Relief training and are not credentialed. We call this second group of untrained volunteers SUV’s. We are also making special provisions for those desiring to serve as a team or as a church group. Those who have been previously SBC Disaster Relief trained and credentialed should email the Unified Incident Command at: DROPS@ABSC.org to register. What you are trained in — Feeding, Mud Out, Laundry, Chaplain, etc. Once the Unified Incident Command gets your information, they will notify you on where to go, who your contact person will be, and the dates you will be deployed. You will fill out paperwork when you get to your job site. Once Haley processes your paperwork, she will work with the Unified Incident Command to get your assignment and will notify you on where to go, who your contact person will be, and the dates you will be deployed. How many Trained/Credentialed members on your team and what they are trained in. How many non-credentialed, nor previously DR trained members on your team. We are designating these as SUV’s. Once the Unified Incident Command gets your information, they will notify the team leader on where to go, who your contact person will be, and the dates your team will be deployed. You will fill out paperwork when you get to your jobsite. Please indicate who your team/church group leader is, and their contact information. Once Haley processes your paperwork, she will work with the Unified IC to get your assignment and will notify your team leader on where to go, who your contact person will be, and the dates you will be deployed. I know this appears complicated on the surface, but it really does streamline things for our Incident Commanders and improves communications. How do I give to the Nebraska disaster relief fund specifically? Thanks!